Woman 62yo with 5 months of history of epigastric pain and being treated as gastritis after gastroscopy. 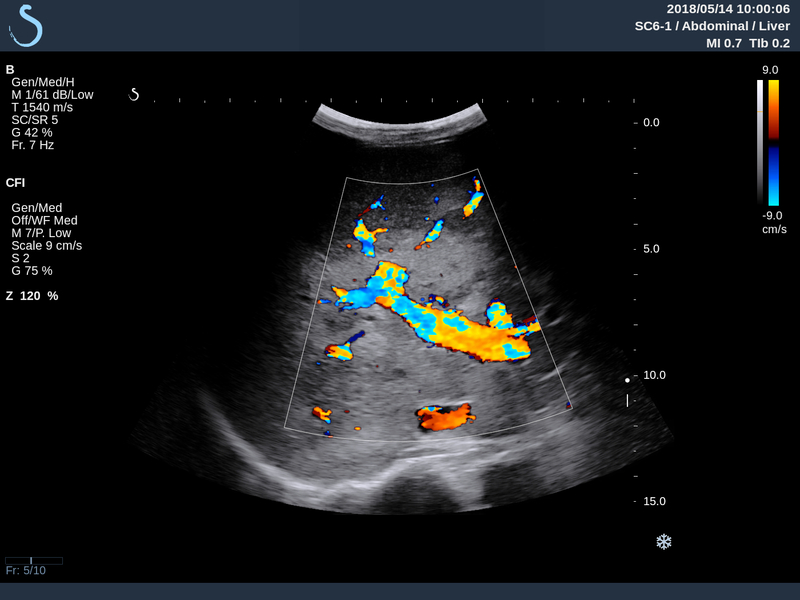 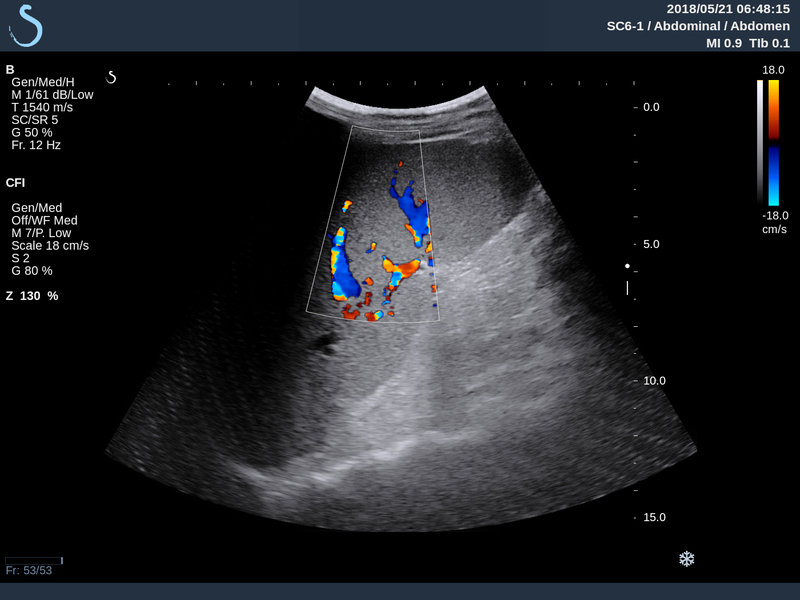 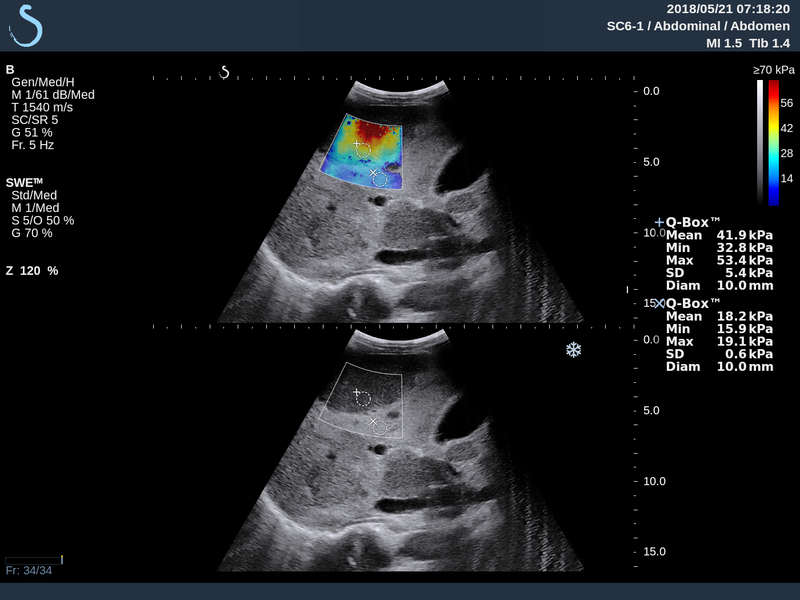 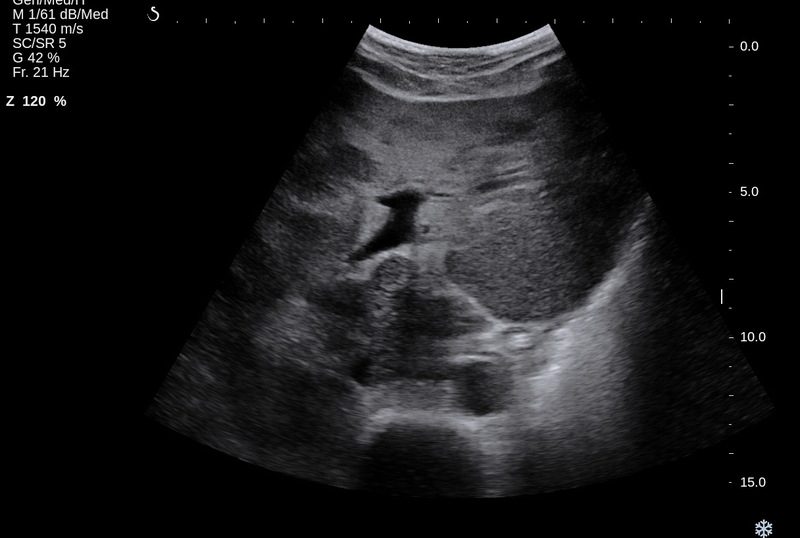 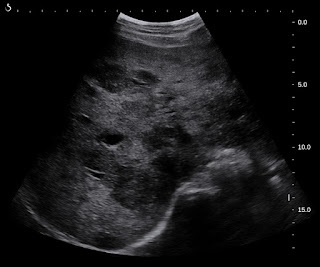 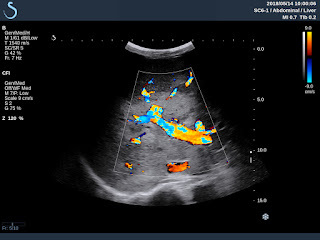 Ultrasound of liver reported as inhomogeneous fatty liver. 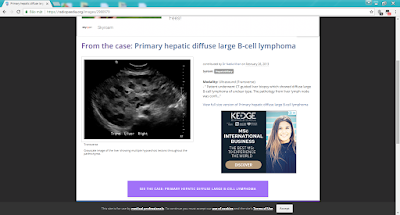 Ultrasound liver reviews 3 months later : US 1 manny hypoechoic focal lesions at peripheral area of liver with size 2-3 cm without bending vascular sign. 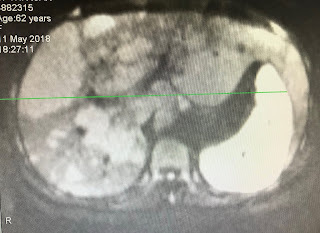 (US 1 , US 2 CDI, US 3 central liver, US 4 liver elastography of this hypoechoic mass is hard 41kPa, normal liver is 18kPa) US 5 : big spleen . 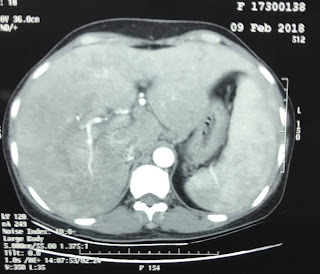 MSCE with CE detected hepato slenomegaly with many nodules captured contrast in arterial phases. 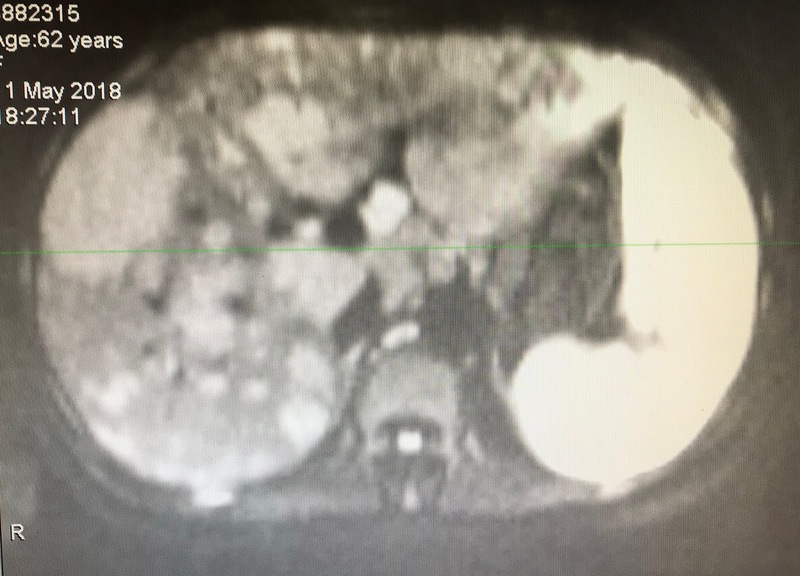 MRI of liver with gado Images with many hyperintense areas, T1 captured gado enhanced peripheral ( MRI 1, 2 ,3 ,4). 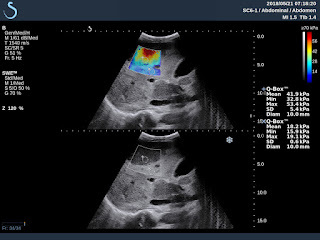 Beta2 migroglobuline rised very high 8,341 UI/ IGG rised to 2,188 UI kappa IGG detected . 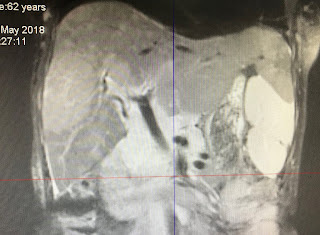 Summary: Based on US imaging , CT with CE, MRI with CE and blood tests diagnosis is PLL ( primary liver lymphoma ), wait for liver biopsy.